I don't know about you, but it's starting to get HOT (finally!) Seeing how we do not have central air, I HATE firing up the oven for dinners, so my slow cooker and the grill get lots of use during the hot summer months. This recipe makes great use of the slow cooker. And who doesn't like chicken enchiladas? Enchiladas in the slow cooker? Even better! 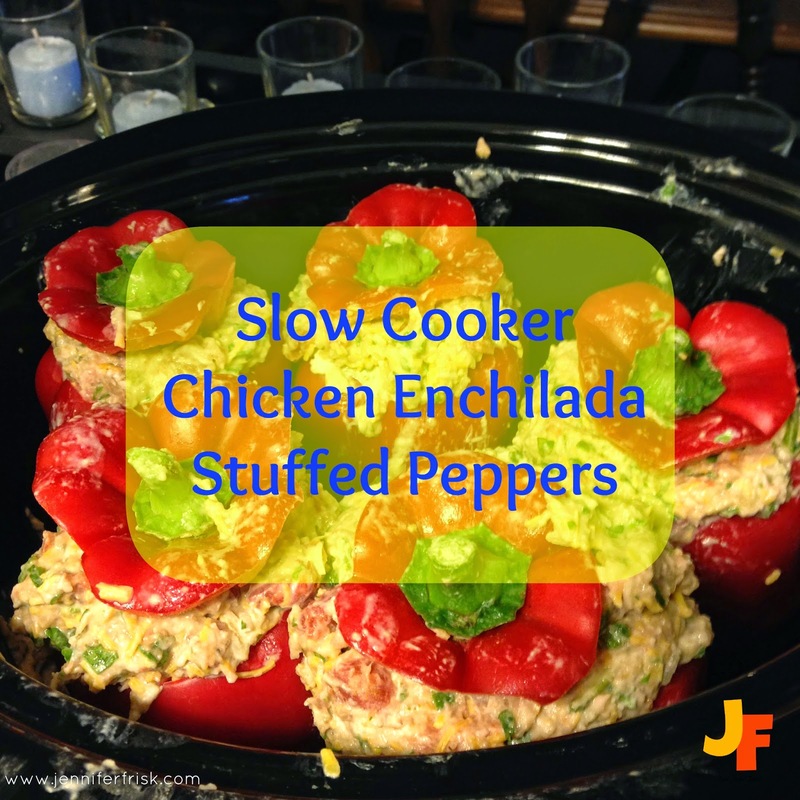 CLEAN, 21 Day Fix Approved, enchiladas in the slow cooker? PERFECTION! Quick note: even though the pic shows 5 peppers, I had enough stuffing for 6. For those of you doing the Fix, one pepper works out to approximately (not exact) 1 green, 1 yellow, and 1 blue. 21 Day Fix Approved Enchiladas? Yes, Please! Cut the tops off each pepper and remove the seeds. Combine all ingredients except peppers. Fill each pepper approximately 3/4 of the way with mixture, and place upright in slow cooker. Cook on low 6-8 hours or on high for 3 hours.